At St Andrew’s Prep, we combine the pursuit of excellence with a focus on preparing boys for a modern high school experience. Prep offers a wide range of options to boys with many different interests and talents, and allows for individual attention and assistance. Advanced Maths and English programmes run by St Andrew’s College staff supplement the curriculum as does our excellent learning support system. Senior Prep classes have a favourable pupil-to-teacher ratio, affording our boys highly-skilled, personal attention focused on nurturing individual abilities. Our rigorous curriculum continually challenges boys in the 21st century skills of communication, collaboration, critical thinking and creativity. Prep does not neglect the basics and our boys receive an excellent education in the core subjects of literature, Mathematics, Science, social studies and languages. Top-notch facilities further enhance the Prep experience. St Andrew’s Prep offers isiXhosa and Afrikaans to children both as first and second language levels. Boys entering Grade 7 from abroad may choose French as an option to Afrikaans. Having a sound understanding of information technology is essential. At Prep we begin early, sharing iPad lessons with our Grade Rs. Many aspects of IT are integrated into class work and boys are able to sit their MOS exams in Excel and Word from as early as Grade 6. Prep is also part of CS-First – an on-line Coding curriculum that has 4,600 schools registered worldwide. Coding – the language of the future – introduces Computer Science to boys who then learn to programme computers themselves. 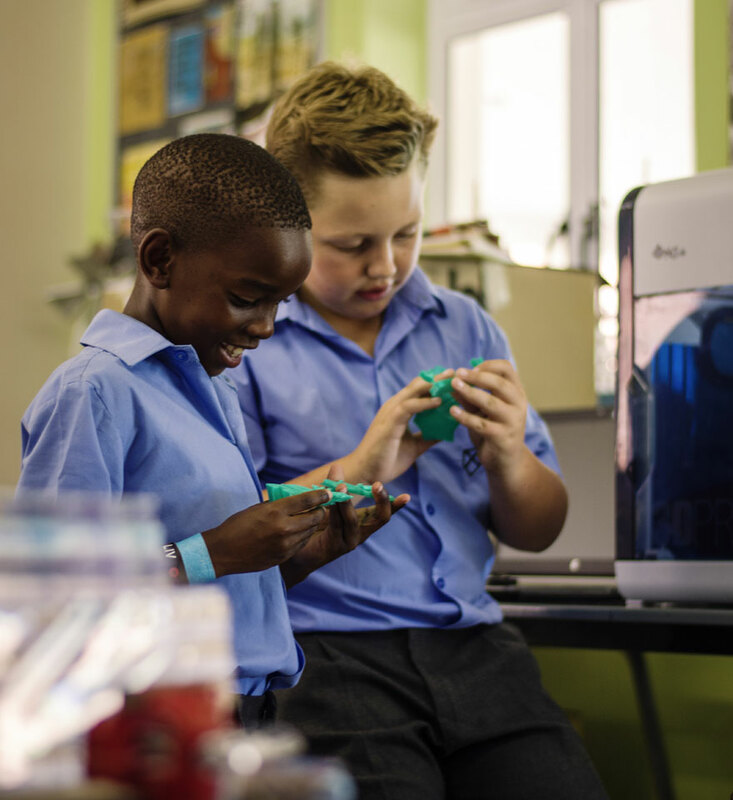 Makerspace, Visual Art, robotics, coding programmes, Design and Technology, critical thinking and Science are explored in our IT Lab and the CCL. Our Grade 7s are privileged to develop their design interests in the St Andrew’s College Design and Technology Centre – a facility widely recognised as one of the finest in the Southern Hemisphere. Activities in both of these spaces focus on cross-curricular work and creative thinking, with the process of problem-solving often being critical. In this stimulating environment, Preppies respond with resourcefulness, enthusiasm and ingenuity. Projects begin with mind-boggling balance tricks using only paper and sticky tape to hold up heavy objects, and extend to projects as complicated as the piecing together of vehicle engines and designing and programming drones. The David Wynne Music School has a reputation as one of the most vibrant, varied and exciting places to study music at school level in South Africa. This is achieved by combining the vigorous pursuit of excellence with the concept of music being a fun language which everyone can learn. The programme consists of: Two Chapel Choirs; Chamber Choir; two Junior Choirs; Wind Orchestra; Junior Orchestra; Junior Concert Band; Jazz Ensemble; Junior String Ensemble; Senior String Ensemble; Brass Ensemble; Contemporary Band; two Marimba Bands; two Pipe Bands; Subject Music classes; Creative Arts classes; as well as some pupil-led ensembles. At Top Prep, all our boys are viewed as emerging artists. Art stimulates the imagination and develops critical thinking. Exploring art strengthens problem-solving skills, develops a sense of craftsmanship and articulates individuality. The Lorraine Mullins Centre for Creative Learning (CCL) with associated pottery studio, where our boys explore their creative side is an architecturally award-winning building. Children can only thrive if they feel valued and secure. Pastoral care means every child is visible and valuable to us. Spirituality, service and life skills are integral to life at St Andrew’s Prep. The Prep Chaplain provides guidance, support and wisdom through the teachings of Christ. 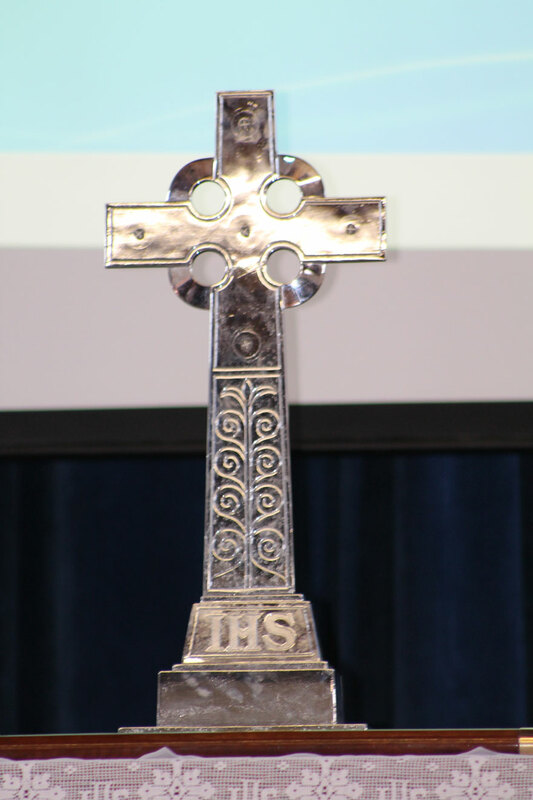 Family Service, which takes place twice per term, provides a space for boys to worship with their parents under the guidance of the school Chaplain. Easter Cantata and Christmas carol services are integral parts of the annual life of Prep. Each year, the Grade 7s stage a much-anticipated production, taking on complicated roles and learning many lines and songs. The Grade 6s are responsible for the sound and lighting, manage front of house, support backstage, all of which gives them the opportunity to develop their understanding of theatre craft.